Healthy hair is a great marker of overall health. Experts agree that a healthy diet with the right mix of protein, iron, and other nutrients like vitamin E, selenium, copper, and magnesium can help improve the health, look, and feel of your hair. With genetic hair loss, you lose your hair gradually, and hair loss increases with age. Non-genetic hair loss occurs when once healthy hair suddenly and noticeably begins falling out. 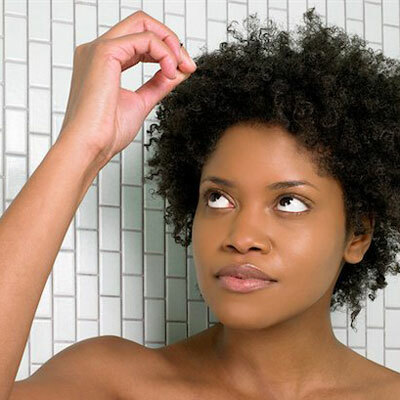 A typical scalp has about 120,000-150,000 strands of hair, and sheds about 50 to 100 strand per day. Most people don’t even notice that small amount. Any vitamin deficiency will cause hair loss. At any given time, about 90% of your hair is in the growing phase. For each individual hair, this growing phase lasts 2 to 3 years. At the end of that time, hairs enter a resting phase that lasts about 3 months before they are shed and replaced by new hair. If you don’t get enough protein and nutrients in your diet, a disproportionate number of hairs may go into the resting phase. On this #internationalwomensday I'm so honored to be surrounded by #WOC who are doing their thing in every industry. 5 years ago I had no idea what an Actuary was and now I get to cheer on one I call my friend. Congratulations @tmac80386! It's amazing to see your accomplishments and how you use your position to increase diversity in your field. I'll take the slide thank you!